Had the honor of designing a number of animations for Odesza's latest world tour in support of their Grammy nominated album "A Moment Apart." This was an all-new stage production for the 2017 Tour, the first incarnation of which debuted to 19,000 fans over two nights in May at the hallowed Red Rocks Amphitheater, as well as going on to sell out Staples Center in LA and many more venues across the world. A heavy hitting (previously unreleased) track from the production duo with orchestral horns, earth shattering drums, and frantic synths. 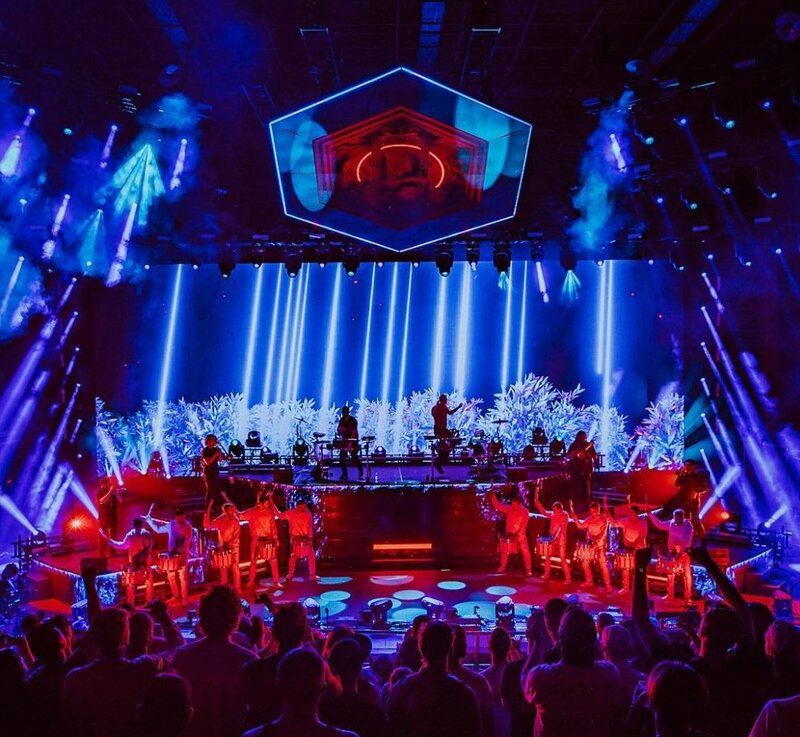 Under the direction of ODESZA’s Live Creative Director Luke Tanaka we came up with a visual package for this track that has the user first traveling through a celestial forest, before the first drop comes and beams of light fall from the sky above. Once we progress through the forest we emerge to see a massive throne and King seated. Lights pulse and illuminate the surrounding environment to the beat of the music, leading up to the King standing up and walking towards the crowd for an epic finale. Collaborated with creative director Luke Tanaka on the content for "La Ciudad" a hit single off of the latest album. Was tasked with creating a set of giants that would shake the earth on the downbeat for the kick along with texturing, lighting, and rigging the scene.